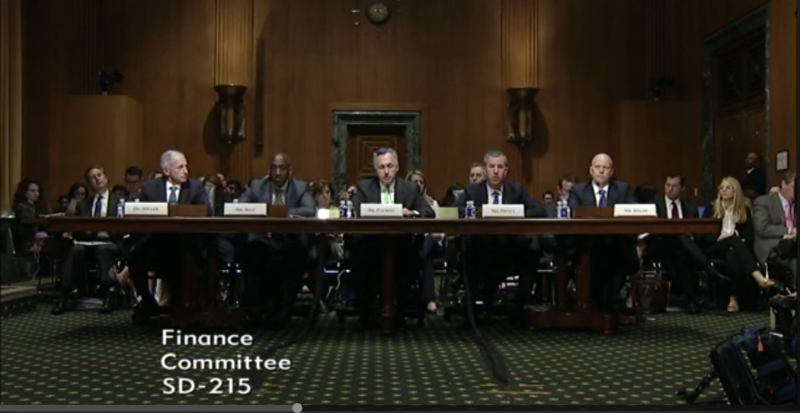 Leaders from five pharmacy benefit managers (PBMs) took their turn testifying before the Senate Finance Committee on Tuesday. There was considerably less drama compared to seven weeks ago, when CEOs from the seven biggest drugmakers were at the same table. Exchanges between senators and execs from Cigna-Express Scripts, CVS Caremark, Humana, OptumRx, Humana and Prime Therapeutics were more conciliatory this time. Most of the tough questions were answered with arcane language as PBMs explained the ins and outs of what they do. They argued that they really are pharmacy experts who find the most effective and cheapest drugs for their clients—not just middlemen taking a sizeable cut. There was a lot of talk about rebates, discounts, wholesale acquisition costs and spread pricing—much less easy to understand than drugmakers’ list prices, the intense focus of the previous hearing. Ostensibly, the PBMs left high list prices to blame for the problem. Each exec said they would support lower list prices from manufacturers. They defended their secret negotiations with those manufacturers as necessary tools. They said they pass on as many rebate dollars as they can; the rest is up to their customers. Unfortunately, the question was submitted for the record and the PBM execs didn’t have to answer on the spot. We’ll have to dig for that data later. Which brings up another oft-mentioned topic in the hearing: transparency, or the lack thereof. "Transparency tools, done well, will make a huge difference in the market," said Steve Miller, Chief Medical Officer for Cigna and its recently acquired PBM, Express Scripts. He echoed what Ken Frazier, CEO of Merck, said in the previous hearing: "If patients understood what their (prescription drug) options are, they wouldn't make these choices." All in all, “Drug Pricing in America: A Prescription for Change, Part III” brought up a few good ideas, and we got to hear on the record where PBMs stand on some proposals that have come out of Washington lately. But if anyone came away from these hearings thinking meaningful change and real relief from high drug prices is on the way, well… it’s probably wishful thinking. If anything, all three hearings painted a clearer picture of how complex the system is, how entrenched the players are, and how difficult it will be for legislators to solve America’s drug price problem. No wonder employers and health plans aren’t holding their breath. This week, Employee Benefit News published a story about 60 of America’s largest employers uniting to fight the status quo in healthcare. Thursday at the National Business Group on Health meeting in Washington, HHS Secretary Alex Azar called on employers to drive down healthcare costs and “incentivize patients to choose care options with more competitive prices.” Azar added that employees can do that only if they have the tools to shop around. Rx Savings Solutions is one of those tools. And employers aren’t the only ones realizing the value for their employees. Health plans are doing the same for their members. 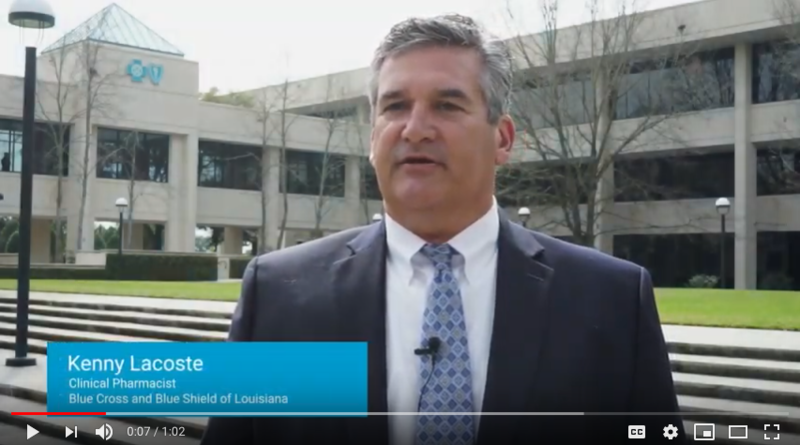 This week, our client Blue Cross and Blue Shield of Louisiana published this video to spread the word about what our tool can do for their membership. While the industry and Washington continue to talk about the problem, it’s great to see employers and health plans actually doing something about it—all in the same week. Kenny Lacoste of Blue Cross and Blue Shield of Louisiana explains why they offer Rx Savings Solutions to their members. You may not think you need one, but here's why you're wrong and should get the influenza vaccine every year. Consumers may be conditioned to believe that "more expensive is better", but when decisions can be based more on cost and less on branding, it's easier to make rational choices in pharmacy.